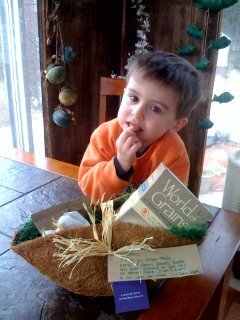 World of Grains offers all natural, whole grain snacks. They are testing out the market in Boston and their PR person contacted me to see if she could send me some free cookie samples. Duh… Like I’d say no! The verdict from both the 3-yo and myself is that these cookies are yummy! Keep an eye out for them on store shelves coming soon.